I am loving this drop waist LBD! I love that it just adds a little something different to a staple black dress! When I wear it I find my self twirling around! I added my new fave shoes (that I have been wearing nonstop) and a leopard clutch! 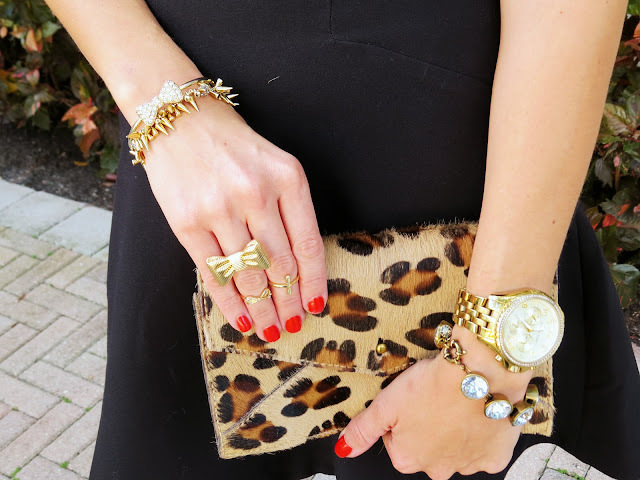 Red and leopard has always been one of my go to combos! I am really loving these rose necklaces I got from Groopdealz! Scroll down for an amazing giveaway with Groopdealz! Today I am teaming up with Groopdealz to give ONE lucky Spoonful of Style reader a $75 gift card to (are you guys ready for this) J.CREW! I am sure you all know by now J.Crew is one of my fave stores! I have a little bit of an addiction and they have so many great things for summer! Giveaway runs until Thursday May 16th. Winner will be announced Friday May17th! Email me at jadealisonscott@gmail dot com to get your gift card! I follow groopdealz on IG! I follow groopdealz on facebook! Such an amazing giveaway! I already follow you on GFC, and I now follow them on facebook & instagram! My name is Kate McLean on FB and omyheartkate on instagram! Annnd, I like you on facebook! Love your style, you are such an inspiration! I follow you on gfc. I also follow Groopdealz on Instagram (redvelvetandleopard), and on Facebook (Rosa Vila) and on Twitter (redvelvetleo). I love Groopdealz!! I completed the mandatory steps! I completed step 1 of the additional entry. I completed the second additional entry. Following GFC and Groopdealz. Liked Groopdealz on Facebook. Also, completed all extra entries! Thanks for posting an amazing blog and an awesome giveaway! I did all of the entries, Including the extra entries. Hope I win!! Love your blog and instagram! Thanks you!! This is great :)!! I have done everything needed, even the extras!!! I'm a fairly new follower of you ever since I stumbled upon you on Instagram. As soon as I looked through your photos I loved your style! I found groopdealz through you! I now follow you both on Instagram! (ty_ty_) I like you both on Facebook! (Tyler Schock) I follow your blog and I like you both on twitter! (tytyS44) And I LOVE Jcrew! Thanks for the awesome giveaway, and your impeccable style! Completed everything and all three extra entries. Absolutely love your style. Hope I win! Love it! Did everything... username ashmbailey on Instagram and Twitter, ashmarieb on bloglovin and Ashley Bailey on FB. Love your style! I follow you through GFC as Annick, I follow Groopdealz on Instagram as thesmalllittlethingsinlife and I liked their facebook page as well (as Annick Noel)! Cute dress...and LOVE the way you styled it with your red shoes and gold accessories! Co sider it done. I follow as virtualme2011. Love your style and those shoes today! 1. Followed through GFC as "Steph S"
I follow you on GFC, and you and Groopdealz on IG and FB :) IG name is @lindsayrutland and Lindsay Rutland on FB. Love this giveaway thanks so much! Awesome giveaway :) I completed all the steps (including additionals). Your dress definitely has the twirl factor and you look fabulous Jade! I followed Groopdealz on Instagram and Facebook (chelsea tubbs & @chelseaandthecity) and already follow you on GFC. Thanks for the amazing giveaway! I follow you on FB (Chelsea Tubbs)! I follow you on Twitter (@chelseathecity)! I follow Groopdealz on Twitter (@chelseathecity)! Awesome giveaway!!! I did everything!! I did all of the entry requirements and the extra entries! J crew has become a major obsession of mine too! Thanks for the fashion inspiration !!! I like you on Facebook. Thank you!! Recently came across your blog and can't get enough! Thank you for the inspiration! Liked both on FB and following both on Twitter. I liked A Spoonful of Style on fb! I followed Jadescott07 on twitter. I liked A Spoon Full of Style on Facebook. Would be amazing to win!!! Absolutely love your adorable blog! I wish I could scoop you up and have you spice up my wardrobe! Following A Spoonful of Style on Facebook for an extra entry! Following Groopdealz on Twitter for an extra entry! Following you on Twitter for an extra entry! Style! I follow Groopdealz on Instagram now! Following you via GFC ! This is fun. Thanks for soing the giveaway! I follow you on GFC, FB & Twitter. I followed Groopdealz on IG/FB & Twitter. I'm folowing you on GFC, Facebook & Twitter. I'm also following Groopdealz on Twitter, Facebook, and Instagram! My name for each all of them is Kim Broda or @KimBroda. Thanks for the contest, I absolutely love your blog! 1) I follow you via GFC (Whitney Langdon). 2) I follow Groopdealz on Instagram (whitney_eryn). 3) I like Groopdealz on Facebook (Whitney Eryn Langdon). 1) I like A Spoonful of Style on Facebook (Whitney Eryn Langdon). 2) I follow Groopdealz on Twitter (whitney_eryn). 3) I follow Jadescott07 on Twitter (whitney_eryn). I met all the requirements!! I also did all of the extra entries :) Thank you! Love J.Crew!! 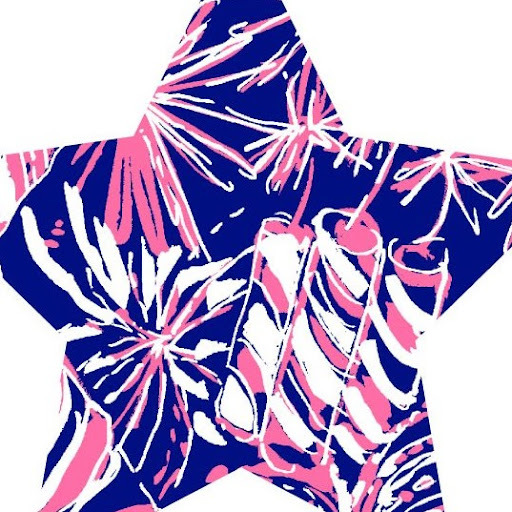 I met all the requirements and I would love to win a J.Crew gift card! Just found your blog and I love it so far! 1. Followed a Spoonful of Style via GFC! I did the first three entries! For your blog and Facebook my name is under Jacy Tilton, and my instagram name is @jacylenore. I also liked your FB page as Jacy Tilton! Just wanted to also say thank you for always being a great fashion inspiration. You always inspire me to try new things with my fashion, weither its a print or just another color. You are a great inspiration !! I adore seeing your new posts !! I love your blog ! The outfits you style are always amazing! Thank for doing this amazing giveaway. I follow you on here with the name of lsrutschke . My IG name is Sarahrutschke . My Facebook name is laynesarah Lowry Rutschke . I completed the first three steps for the JCrew gift card! Dying over this outfit & accessories! Love your blog! liked A Spoonful of Style on Facebook & following you on IG! I follow Groopdealz on facebook. Thanks I hope I win!